Always out of stock. That's pretty much the gist for now. My little Rainbow loves loves loves the animated movie (who doesn't?) and I would really love for her to get to play with some Frozen merchandise. The sucky part is that when we were at this tiny mall in San Fernando La Union called CSI Mall, I saw a whole bunch of Frozen toys there. And I was pretty sure they were original. Because it was the same ones I would see online. But I hesitated on buying because I thought maybe it would be less expensive back in Manila. The toy I had my eye on was 1,200. Can you believe it? For two small dolls! So there, I didn't buy. Fast forward to when we got back in Manila. The following day we went to Crimson Hotel for a blog gig. During our rest time, Richie went to a nearby mall to buy Rain a Frozen toy. Out of stock. Apparently the wealthy Alabang moms buy out all the stocks as soon as the shelves are restocked. Uh-oh... Oh well for sure there will be in Megamall or something. Only P100 per figurine. And they were the only Frozen merchandise there! From Elsa, to Anna, to Kristoph, to Sven, to Olaf, and even down to Prince Hans of the Southern Isles! Just one plastic figurine per character. So yes I bought them all! I mean St. Francis Mall! Who would have thought, right? Never underestimate the power of tiangges! And then a few days back, we got a message from our friend Tales from the Tummy couple friend Richard and Irene saying they saw something Frozen at Powerbooks. And without batting an eyelash I said GET IT!!! 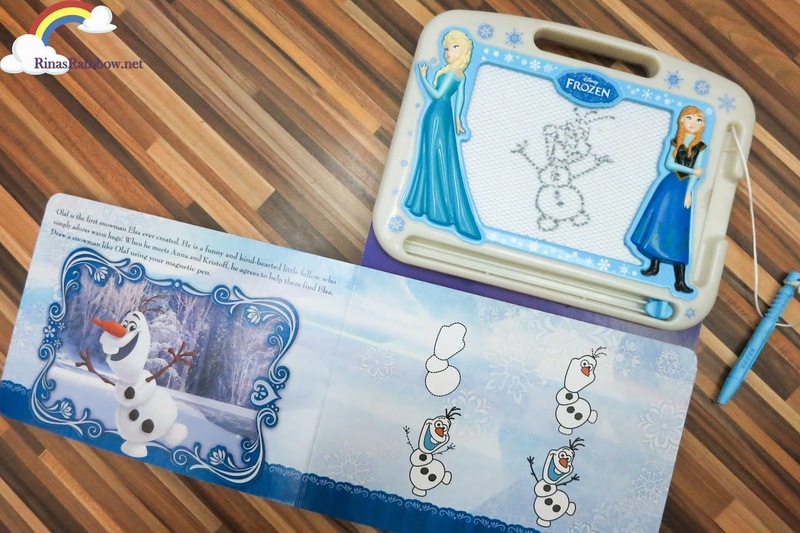 It's a magnetic magic slate attached to a book that shows you how to draw Frozen images. Pretty cool! 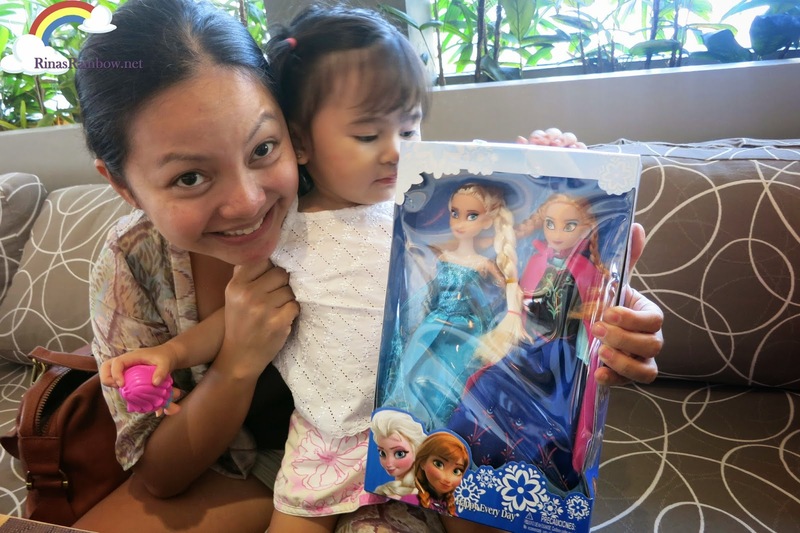 And then just this weekend, the kind-hearted Jane Go of the Sugar and Spice blog surprised Rain with two bigger dolls of Queen Elsa and Princess Anna! Such a sweetheart that Jane! She got this from eBay! It's one of Rain's favorite toys right now! :-) Thanks again Jane! I promise to join you on the search for these elusive toys for baby Rain! 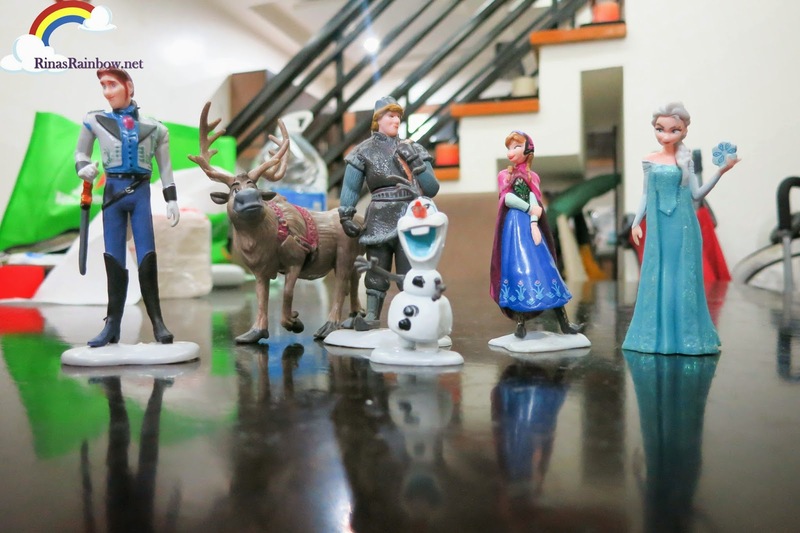 <3 Grabe I think Frozen is by far the most popular cartoon ng disney kung pagbabasehan ang OOS merchandise everywhere hay! Yay! Let's go on a search for Frozen toys hahaha! :-) challenge accepted hahaha! Aww! 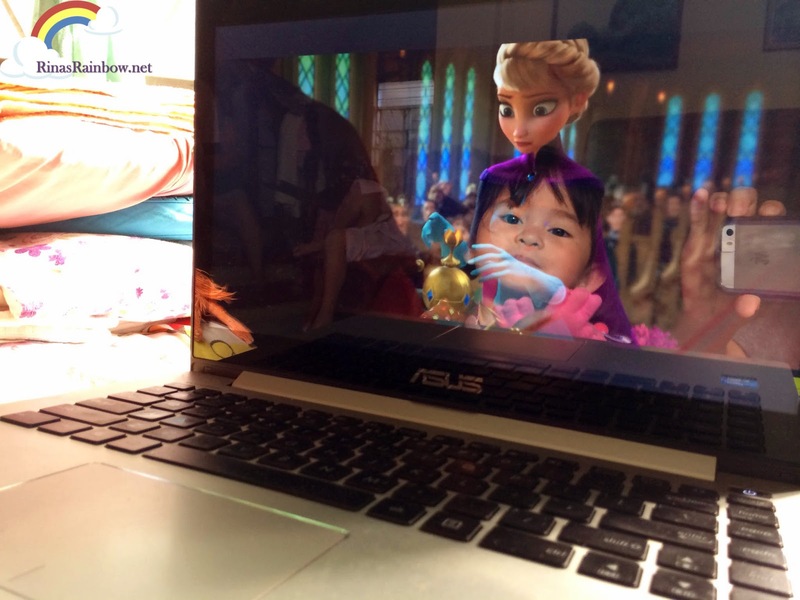 that's sweet.. even the mommies are going gaga over elsa and anna just for their little ones. I count myself in! Hi there! 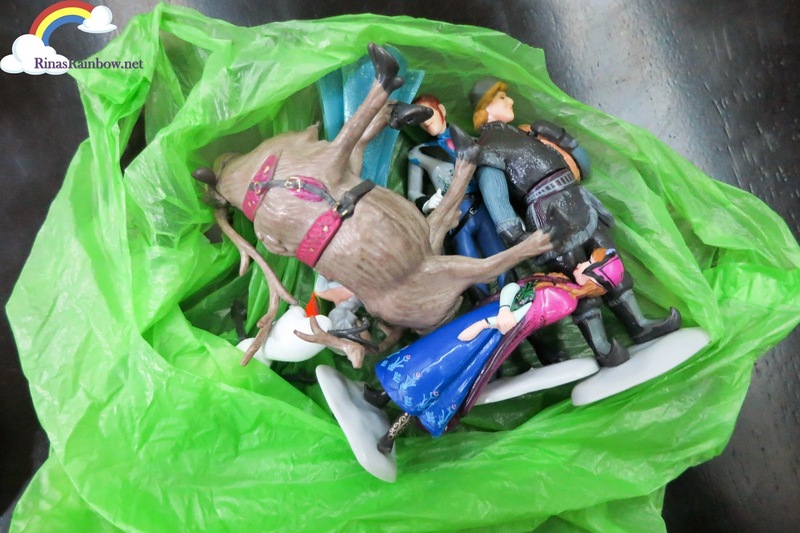 I came across your blog and i saw that you're finding some of Disney Frozen items.